Window > Extensions > Frame.io and the panel will snap into the top panel. Uploading a comp to Frame.io starts with adding the selected comp to Render Queue. 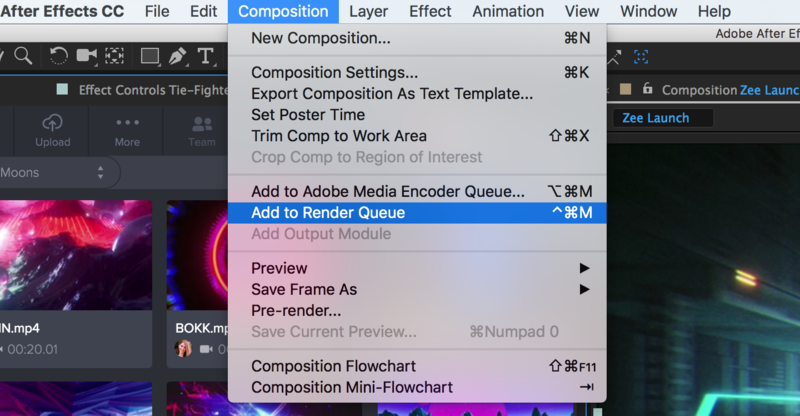 Adjust the render settings in your Render Queue. In the Frame.io panel, select Upload > Upload Queued Comps and this will pull from your Render Queue. Select the render option: Based on Output Module, Whole Composition or the Work Area. You can also render to the location based on the Output Module or select a Custom Folder. Auto Version automatically stacks this upload on top of the previous version. If you make folders in your project and move many files to this folder, you can upload the entire folder's contents to Frame.io. To upload this folder and its contents, select Upload > Upload Folder. When you select a folder, the subfolder structure and its contents will be uploaded to Frame.io directly to the project. 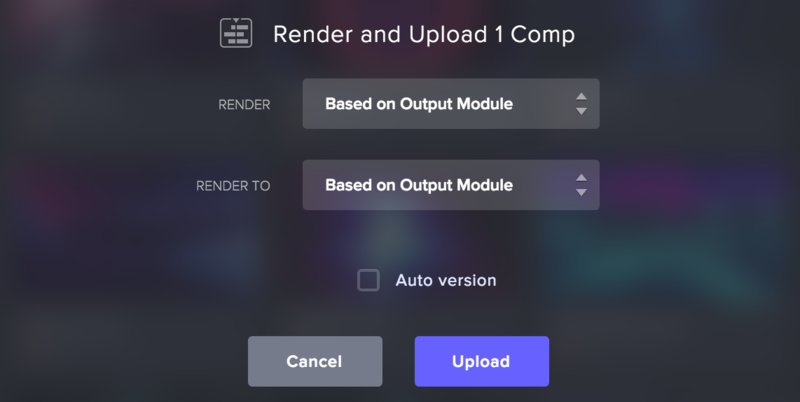 If you want to share the After Effects project file between others through Frame.io, simply select Upload > Upload Project File. If you have not yet saved the project file, this will prompt you to save it to your drive first. Then the .aep will be a file on your Frame.io project. Import multiple files by selecting with Shift or Cmd (Ctrl) and then right-mouse click and select Import Files.